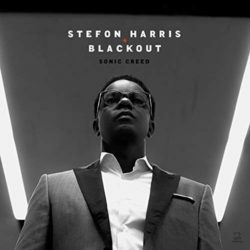 Vibraphonist, educator and app developer Stefon Harris’s new album is Sonic Creed. In this interview, Harris discusses the responsibilities of his generation of musicians; how his album is an expression of the current state of African-American life in the U.S.; and why empathy is the focus of his life. Learn more at stefonharris.com. Support the show! Become a member for just $5/month at http://patreon.com/thejazzsession. Thanks! The Wee Trio is James Westfall (vibes), Dan Loomis (bass) and Jared Schonig (drums). 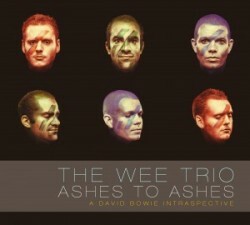 Their new album is Ashes To Ashes: A David Bowie Intraspective. In this interview, the trio talks about why they chose David Bowie — and why they were initially reluctant to do so; how they managed an 8,000-mile tour across the United States; and what makes the trio work as a unit. Learn more at theweetrio.com and follow them on Twitter at @weetrois. 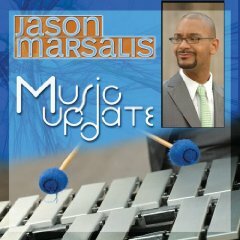 Drummer Jason Marsalis turns to the vibraphone on his new record, Music Update (ELM Records, 2009). In this interview, Marsalis talks about the reason he chose to focus on the vibes; the process by which he recorded the drum ensemble tracks on the CD; and his view of the current state of recovery in New Orleans. Find out more at JasonMarsalis.com. Jason Crane interviews vibraphonist Gary Burton. 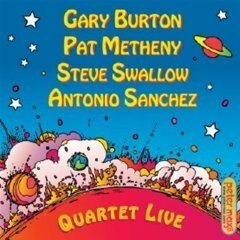 After three decades, Burton reunited with Pat Metheny and Steve Swallow — and added drummer Antonio Sanchez — to record Quartet Live! (Concord Jazz, 2009), an album celebrating the music of the original Gary Burton Quartet. 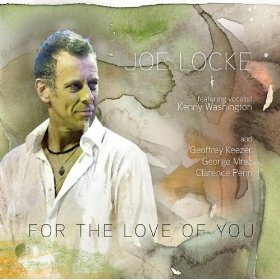 Originally conceived as a one-time-only performance at the Montreal Jazz Festival, the band quickly realized that the music was worth exploring again. Burton talks about the new quartet, his projects with Chick Corea and Makoto Ozone, and his “semi-retirement.” And be sure to visit allaboutjazz.com for even more interviews and reviews about Burton’s new recording.